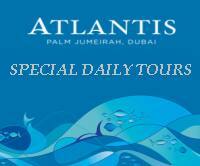 Dubai Tours Desert Safaris dune bashing, and online hotel reservations in Dubai. Annual Closing Dates   from August 1st To 31 August 2009. Type of Cuisine   Chinese Cantonese. Guarantee Policy: You must use a credit card to book online. Cancellation Policy: Cancellation policies vary from hotel to hotel. Most current and accurate cancellation policies will appear on your reservation form.